When I was growing up, my (pronounced mam-maw) Mamma Hazel always had this cabinet in her kitchen. She kept all sorts of things in it. I remember there were cookie jars, and one was always filled with those Keebler Elf fudge stripe cookies. My cousins and I were allowed to eat as many of those as we wanted! We didn’t even have to ask! I still have that cookie jar, chipped edge and all. For many years, this Hoosier cabinet has been in my laundry room. I had little knick-knacks and pictures all over it. Unfortunately, it was covered in dust and wasn’t really a focal point in that room. Today, I had Isaiah, someone who helps us on our farm sometimes, and two of his friends come over to move some furniture. 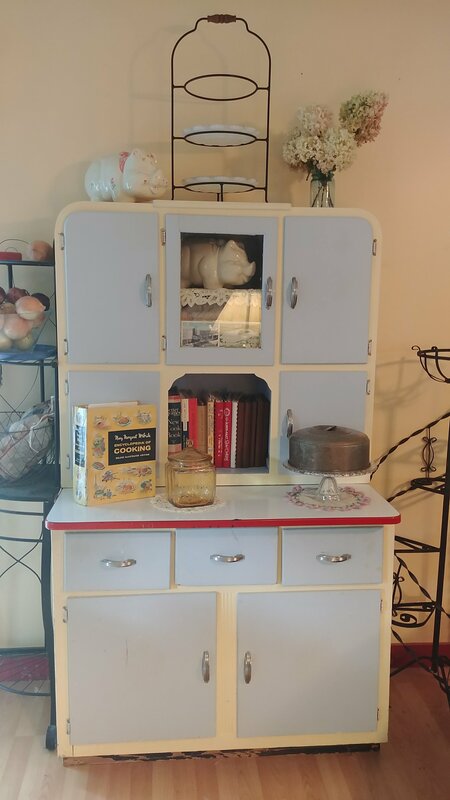 I had them move Mamma’s Hoosier cabinet to my kitchen, and I spent the afternoon cleaning it and setting it up so I could use it in my kitchen as well. I even have the cookie jars! There aren’t any Keebler Elf fudge stripe cookies in them yet, but there will be once I get to the grocery store this week. I miss Mamma Hazel, and I really wish she was here. 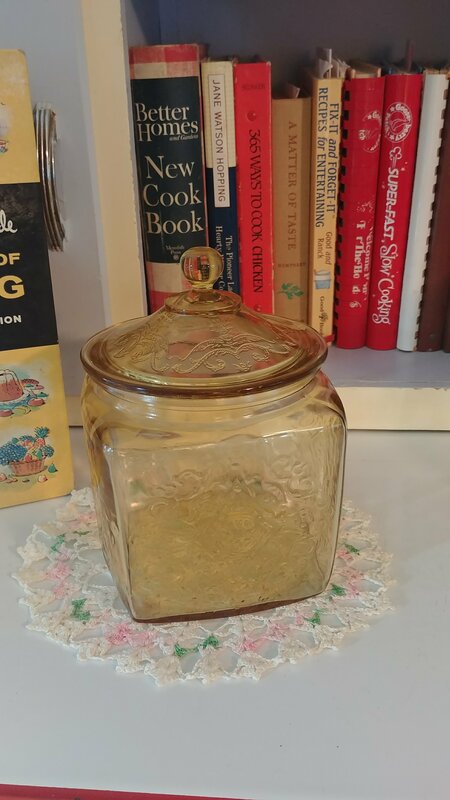 Since she can’t be, at least a piece of her will always be here now right in my kitchen, front and center, and I will make sure that any future grandkids get the same cookie jar experience with her old Hoosier cabinet and cookie jars!